An NHS nurse who set himself on fire after being dismissed from his job was “treated unfairly”, a report has found. Amin Abdullah, 41, who died after dousing himself in petrol outside Kensington Palace in February 2016, had lost his job at Charing Cross Hospital. An independent investigation found the trust’s disciplinary procedures against Mr Abdullah were “weak and unfair”. Evidence submitted to the hearing panel did not paint “an honest and complete picture”, the report said. The probe conducted by independent investigation consultancy Verita found the hearing panel did not have “all the information they needed available to them”. Mr Abdullah was accused of being dishonest by his investigating officer despite little or no evidence, the report found. The investigating officer failed to disclose evidence that was critical of her but tended to show Mr Abdullah being in the right, it added. A three-month delay in proceedings, which Mr Abdullah found “extremely stressful”, was also criticised. A summary report produced after the events was described as “poor” and a “whitewash”. “It gave the trust false assurance that it had done nothing wrong”, the findings read. Mr Abdullah was suspended after signing a petition in support of a colleague after a patient complaint and writing a letter for the colleague in which he branded the patient a “professional complainer against NHS staff”. The Malaysian-born nurse was charged with writing an “untrue letter” and not using the correct complaints procedure. He was discharged on 21 December 2015. After slipping into severe depression, he admitted himself to St Charles Hospital, but was allowed out on 9 February to collect a change of clothes. He was found on fire by police two miles from the hospital, outside Kensington Palace, the London home of the Duke and Duchess of Cambridge, later that day. It was two days before his appeal hearing. The independent report said Mr Abdullah “should have known that signing the petition was not appropriate” but it noted none of the other 18 signatories was disciplined. Writing the letter was also “a mistake”, according to the report. “However, the evidence indicates that Nurse Abdullah wrote it for a specific purpose and intending only Nurse X to see it,” it added. 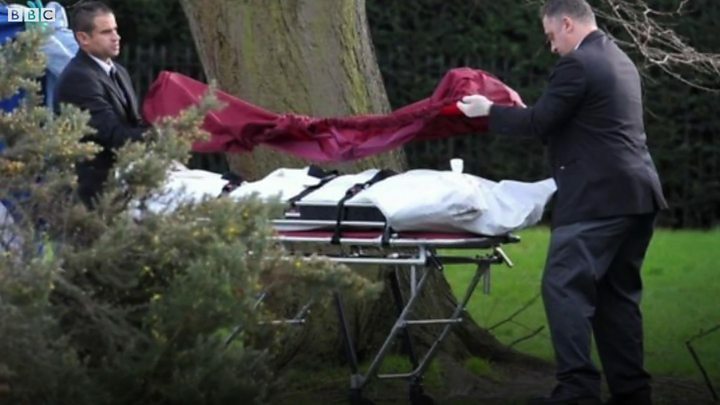 Mr Abdullah’s partner, Terence Skitmore, said: “Amin knew that once he was sacked, his career as a nurse was effectively over and he would never work again. Mr Orchard said he regretted Mr Abdullah was not alive to be “offered an apology for the mistakes that we made”. “As well as accepting all of the report’s findings and recommendations, I am commissioning a full overhaul of how we support and manage our disciplinary processes”, he said.